Machine Vision Cameras are manufactured with definite STANDARDs and INTERFACES to facilitate compatibility across different manufacturer products, ease of design of Machine Vision systems, universal protocols and connections, software portability across different standards and different manufacturer products, ease of replacements etc. which has members from almost all camera and other vision related manufacturers in the world? GigE Vision:GigE Vision® is a global camera interface standard developed using the Gigabit Ethernet communication protocol.GigE Vision GigE Vision allows for fast image transfer using low cost standard cables over very long lengths. With GigE Vision, hardware and software from different vendors can interoperate seamlessly over GigE connections. The GigE Vision specification relies on GenICam™ to describe the features supported by the camera. This description takes the form of an XML device description file respecting the syntax defined by the GenApi module of the GenICam specification. “GenICam is a generic programming interface for all kinds of cameras”. 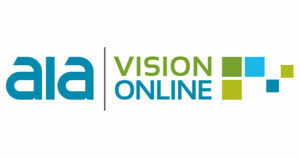 To help achieve the goal of coherency between various vision standards, the GigE Vision committee generalized the definition of its pixel formats and created the “Pixel Format Naming Convention”.The GigE Vision standard was developed and is maintained by a dedicated group of companies representing every sector of the vision industry. The AIA oversees the ongoing development and administration of the standard. GigE Vision now offers a special licensing program for Ethernet products which don’t implement the full standard but are configured to easily integrate vision system components and could benefit from GigE Vision branding. Camera Link is a hardware specification that standardizes the connection between cameras and frame grabbers. It defines a complete interface which includes provisions for data transfer, camera timing, serial communications, and real time signaling to the camera. Camera Link was built for real time, high bandwidth (maximum 850 MB/s) parallel communication. It is a well-established and proven industry standard, there are hundreds of Camera Link products on the market today. These compliant products are interoperable, providing users with the flexibility to choose the best product for their needs without worrying about compatibility between different manufacturers. Camera Link has GenICam support for plug and play interoperability. Camera Link HS is designed to specifically meet the needs of vision and imaging applications. It has low latency, low jitter, real-time signals between a camera and a frame grabber carry image data and configuration data. The interface takes the key strengths of Camera Link and adds new features and functions to meet customer’s demands today and tomorrow. The USB3 Vision® interface is based on the standard USB 3.0 interface and uses USB 3.0 ports that will soon be standard on most PCs (with Windows 7 service pack and Windows 8 native support expected soon). Components from different manufacturers will easily communicate with each other. The standard is currently in version 1.01. It is important for all System Integrators, end users, dealers and distributors to know about these interface standards and the uniqueness of each standard to select for their projects. Online Solutions (Imaging) Pvt. Ltd., is a two decade old company that can help customers to choose right interface standard appropriate for the projects. www.onlsol.com has a menu named support under which a presale section is present for the customers to login and place their project request using the project question form. The form will be processed and a contact will be established within 48 hours. This blog write up is a collection of data from AIA. Online Solutions (Imaging)) Pvt. Ltd., India is an AIA member.